This Airbnb was simply sensational. 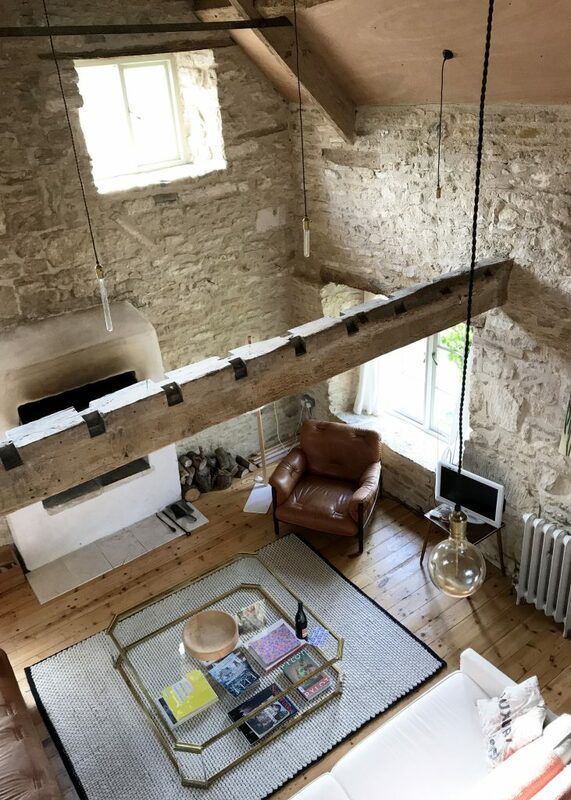 The second stop on our Airbnb honeymoon, the Modern Hayloft in Cotswolds was everything the pictures promised and more. 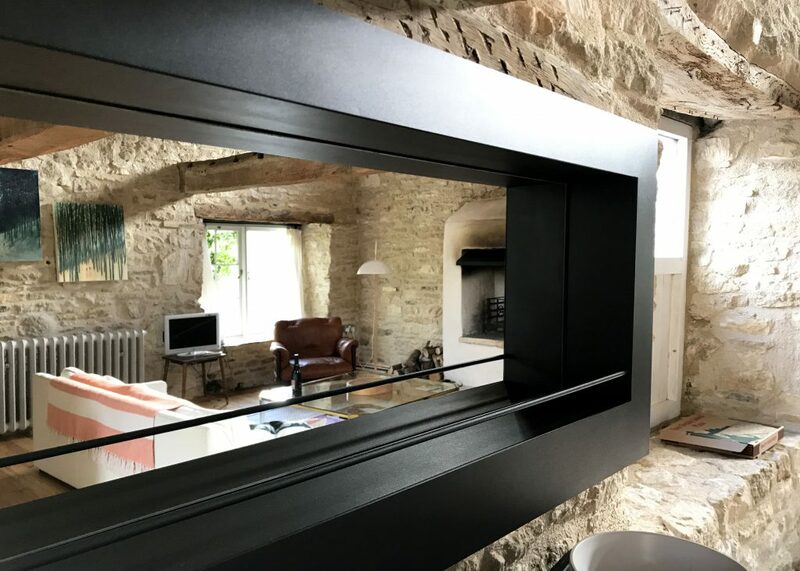 This brilliantly renovated workshop achieves a sublime balance of rustic simplicity and modern indulgence. 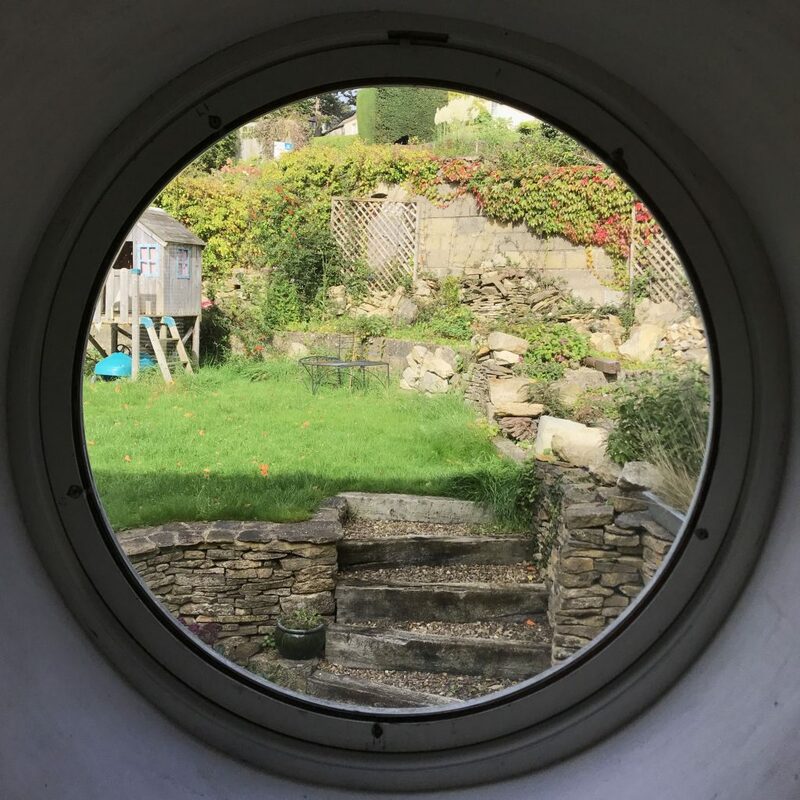 Nestled in the heart-warming town of Nailsworth, England, the Hayloft is a knockout beauty of an Airbnb that doesn’t take itself too seriously. Fabulously creative and deliberately thoughtful, Caroline and Dave provided a five star hotel feel in their one-of-a-kind space. The workshop’s stunning renovation is the result of their personal design and effort. 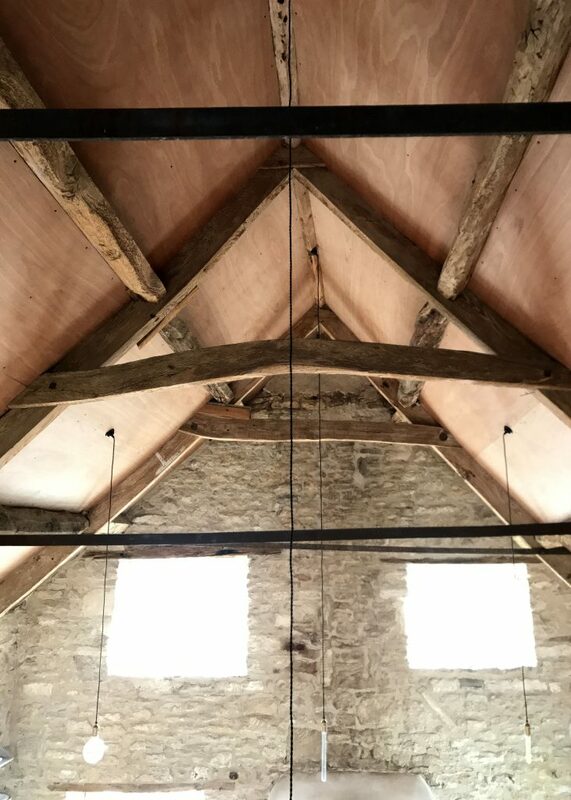 This historic barn and then carpenter’s workshop has been transformed into one of the most unique Airbnbs we had the good fortune to find in our full-time travels. 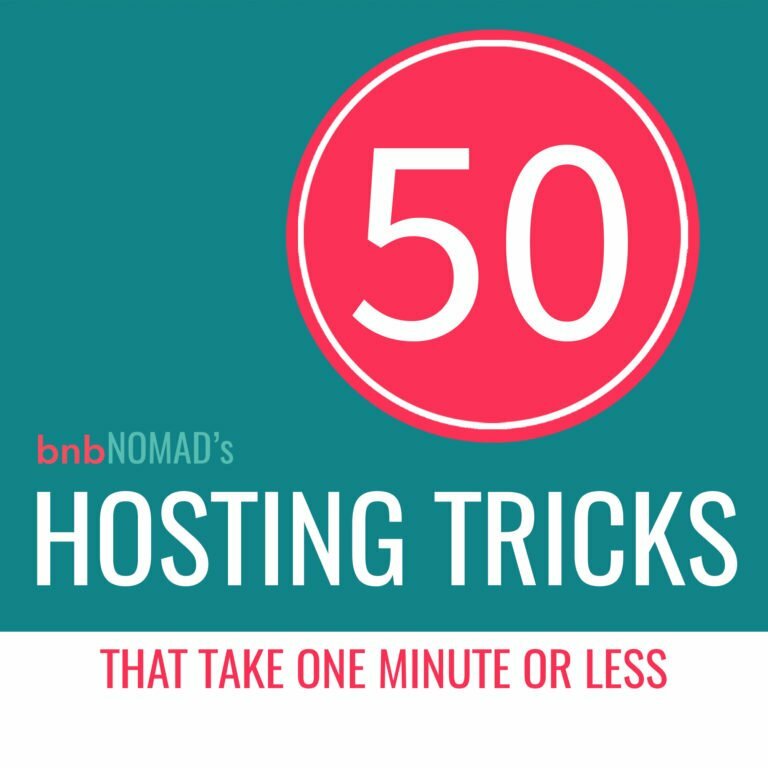 Their hosting style serves as a springboard for many of our posts. 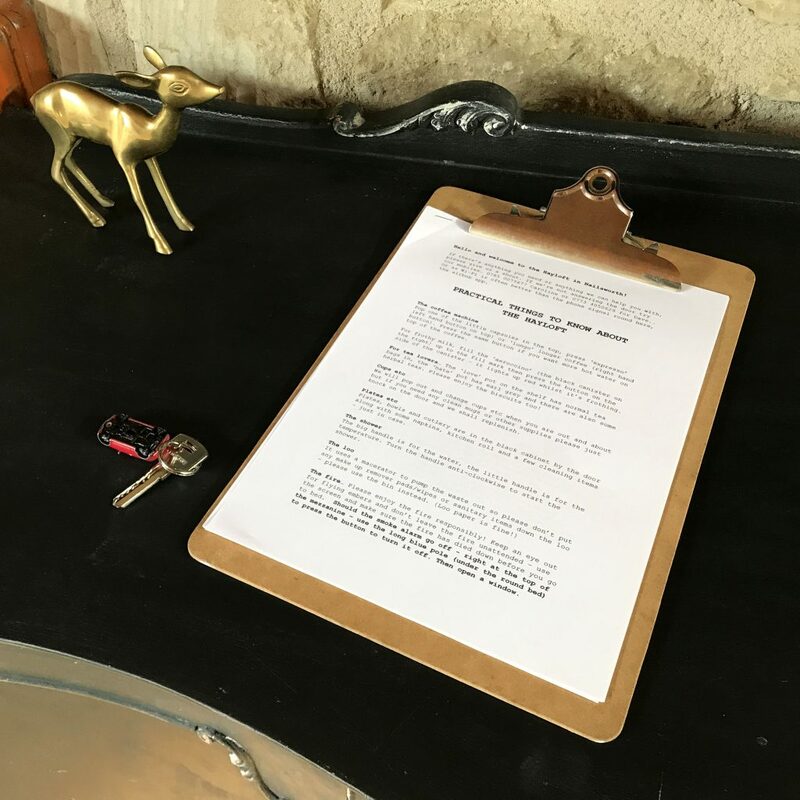 From the recommendations on making a fabulous first impression to how to arrange the perfect self check-in, we constantly refer to strategies that these hosts leveraged to make our stay unequivocally flawless. 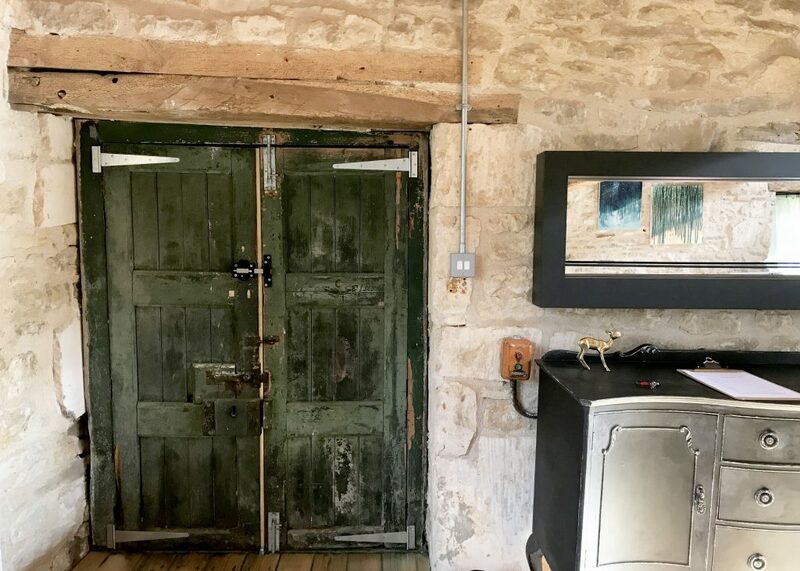 The workshop’s original integrity feels fully intact with its thick stone walls, heavy latched barn doors, and second story hayloft. Between the vaulted ceiling and the abundance of windows, this expansive space is filled with light from the moment the sun rises until it sets. Poised beneath the loft, the living room serves as the undeniable centerpiece of the workshop’s open floor plan. Dual couches frame a large glass coffee table in front of a wood burning fireplace. The primary bedroom is tucked down an adjacent wing off the main workshop. 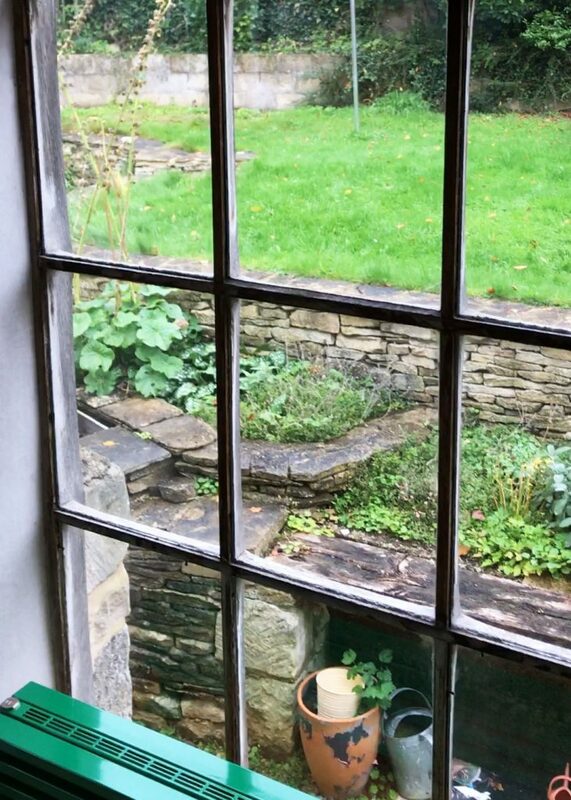 Walking towards the bedroom, a portal window opens up to an idyllic English garden. Countryside simplicity with a touch of whimsy and a dollop of punk, this Airbnb is an interior designer’s dream. The entire workshop brims with texture: a thick woven rug, wooden milk stools worn smooth, a touch of stained glass, a sumptuous leather reading chair, a velvet king-size circular bed in the loft. Rockstar to milkmaid, these eclectic pieces draw on far-flung inspirations and coalesce into something stimulating, yet intuitively homey. Light hearted, uplifting, and vibrant, the space simultaneously reenergizes and soothes guests. Countryside simplicity with a touch of whimsy and a dollop of punk, this Airbnb is an interior designer’s dream. From the abundance of amenities to choose from, here were our favorite personal touches spread throughout the Hayloft. Maybe it’s a bit odd to gush about light fixtures, but never before have we felt so inspired by the presentation of the electric light bulb. 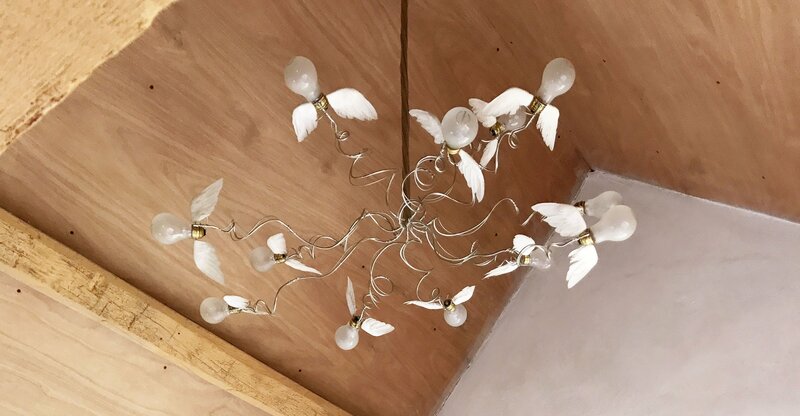 From the Edison-inspired bulbs descending from the rafters to the winged lights spiraling apart in a burst of whimsy, we left convinced that any future home needs awe-inspiring fixtures. Maybe it’s a bit odd to gush about light fixtures, but never before have we felt so inspired by the presentation of the electric light bulb. Talk about romantic. 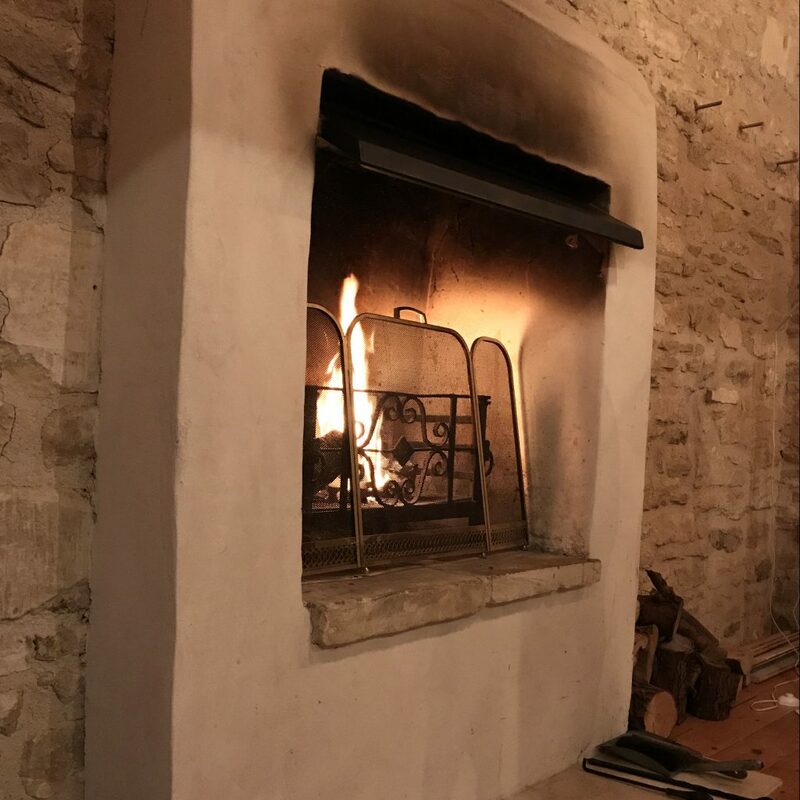 After spending our days walking through the cobblestone streets of Nailsworth and enjoying long, indulgent meals out, we’d curl up by this grandiose fireplace. Caroline and Dave had set out every item a guest could need to enjoy this central feature, from kindling and logs, to a screen and a fire extinguisher, just in case. On either side of the bed, we found two miniature milk stools that gracefully functioned as our nightstands. 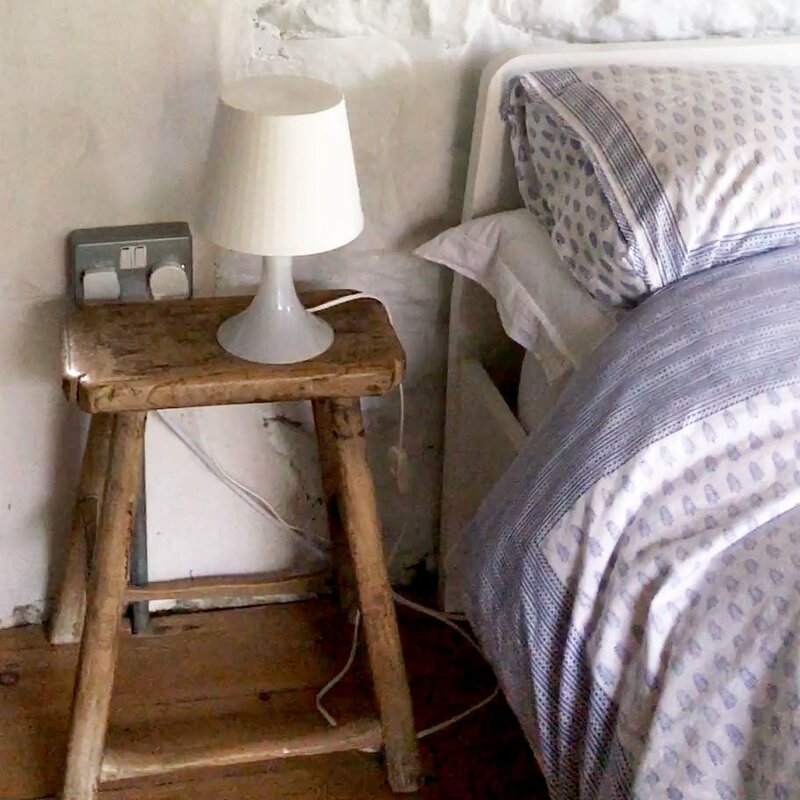 Their softened wood harkened back to the Hayloft’s pastoral history and the miniature lamp emitted just enough soft light to wind down before bed. While the Hayloft doesn’t have a kitchen, Caroline and Dave have gone all out with refreshments. We were addicted to the Nespresso machine and adored the accompanying metallic mugs and plates. They also left a large glass bottle with fresh water, plenty of tea, and delectable cookies to munch on. Along with the crackle of the fireplace, we’d enjoy music in the evenings. Not only had our hosts set out a vinyl record player along with a collection of music, they also equipped the speakers with an audio jack, allowing us to alternate between their music and ours. This auditory addition was the finishing touch to this honeymoon-worthy ambiance. 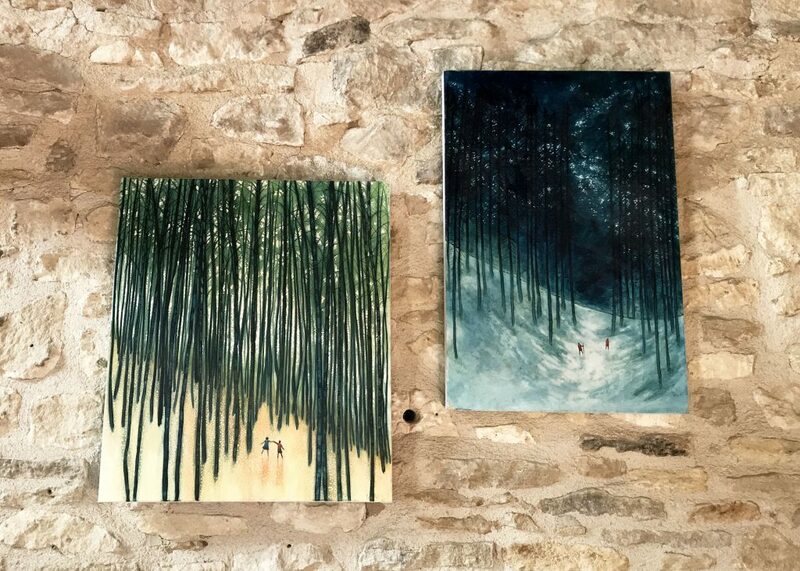 Offhandedly, Jay chuckled and said, “Look, it’s us on our adventures.” This small comment lovingly anchored these two paintings in our honeymoon memories. In the living room, there was a pair of charming paintings. The first was set in a rich emerald forest, the second in a vast snow field at night. In both, the perspective dips towards the ground to show two tiny figures dwarfed by the scale and grandeur of the natural surroundings. Offhandedly, Jay chuckled and said, “Look, it’s us on our adventures.” This small comment lovingly anchored these two paintings in our honeymoon memories. 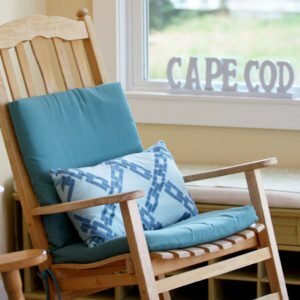 Caroline and Dave exemplify the hosting style we adore: a joy to chat with but a default towards privacy, they’ve thought of everything ahead of time and leave their guests to soak up the marvelous space. 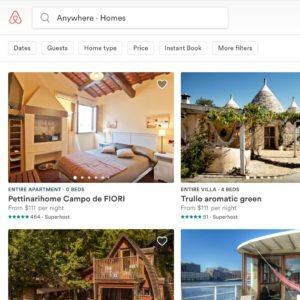 If you’re an Airbnb host, here are six tricks to consider adding to your toolkit. We are firm believers that self check-in is the most relaxing strategy for guests and hosts. 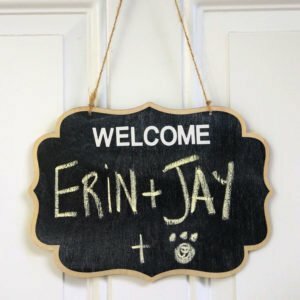 But that doesn’t mean you can’t personalize the welcome. 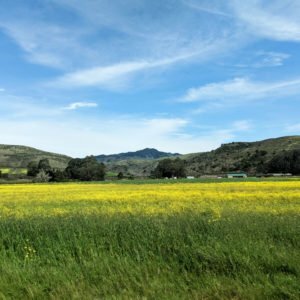 The moment we ducked through the heavy set of workshop doors and entered the Hayloft, we saw from across the room a bottle of wine and a handwritten note on the coffee table. This thoughtful gesture commemorating our honeymoon made us feel immediately welcome and confirmed that we had indeed picked the right Airbnb for this special occasion. Investing the time to compile a house manual and local guidebook can make such a difference for your guests. We loved Caroline and Dave’s simple, yet personality-infused approach. Just inside the door, we found a few sheets of paper on a classic clipboard. Not only is this format easy to update, the writing itself was delightful. 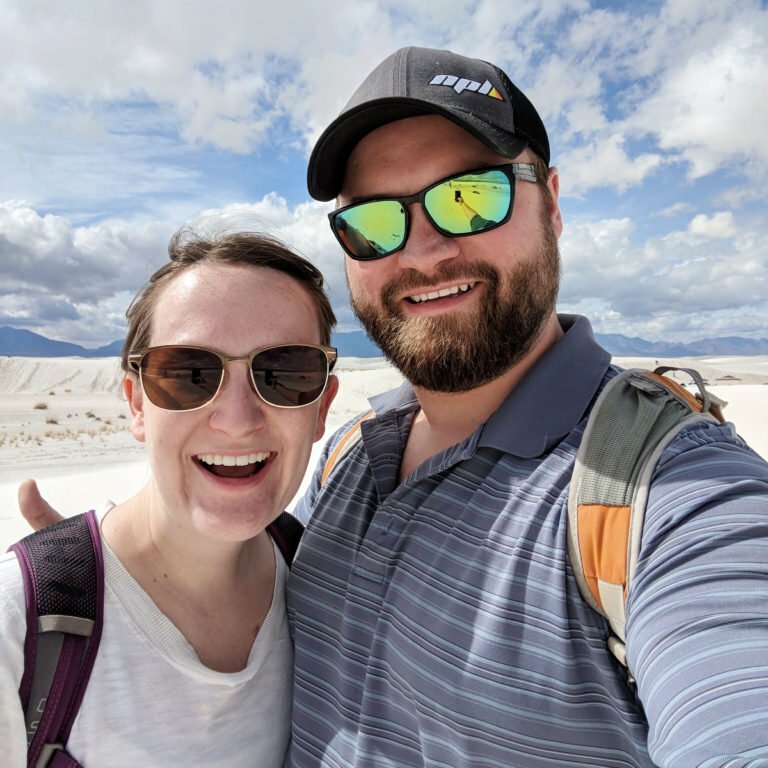 This light-hearted and witty guide outlined the local restaurants, a favorite walking route, and how to safely use the fireplace while also helping us get to know our hosts. This was the third Airbnb where we’ve seen this little trick used. If your Airbnb has an open floor plan and you’re looking to carve out some privacy while avoiding heavy construction, consider a flexible wall of fabric. Just run a steel wire system like this across the room and use the little hooks to drape a few panels of fabric around the space. Not only is this flexibility and privacy appreciated by guests, it adds dimensionality and texture to your space. The first strategy that caught our eye was the upfront accuracy about what their space didn’t have: a kitchen. Being explicit about what your Airbnb lacks not only demonstrates your honesty, but it’s a huge time saver. There are several smart tactics Caroline and Dave employ in their online Airbnb listing. 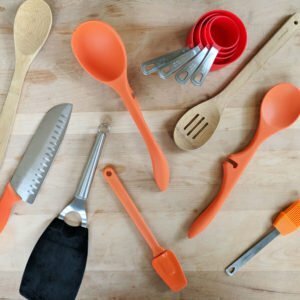 The first strategy that caught our eye was the upfront accuracy about what their space didn’t have: a kitchen. Being explicit about what your Airbnb lacks not only demonstrates your honesty, but it’s a huge time saver. You’ll avoid the guests who aren’t the right fit for your Airbnb and snag the ones who are with your transparent style. Especially for Airbnbs sitting at a higher price point, comprehensive, high-quality photos matter. 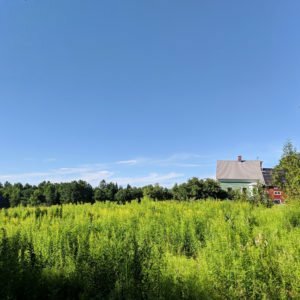 The goal is to create a series that elicits a knee-jerk reaction of “I want to be there now!” You also need to provide enough granularity to satisfy the curious eye of the detail-oriented guest. The photos in Caroline and Dave’s Airbnb posting serve as a perfect model: professional images that showcase the space at its absolute best. The photos in Caroline and Dave’s Airbnb posting serves as a perfect model: professional images that showcase the space at its absolute best. If your Airbnb is easily accessible via public transportation, highlight the route in your description. 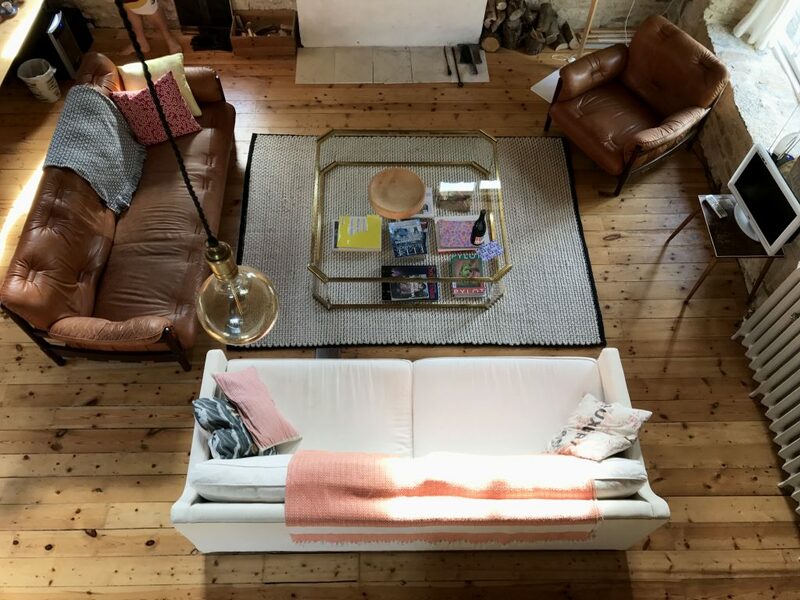 As we looked through the Airbnb posting, the Modern Hayloft won us over immediately. Our one hesitation was transportation. We’d be departing from London without a car. When we saw Caroline and Dave’s clear instructions we were sold: train to Stroud, bus to Nailsworth, and just a few blocks to walk. 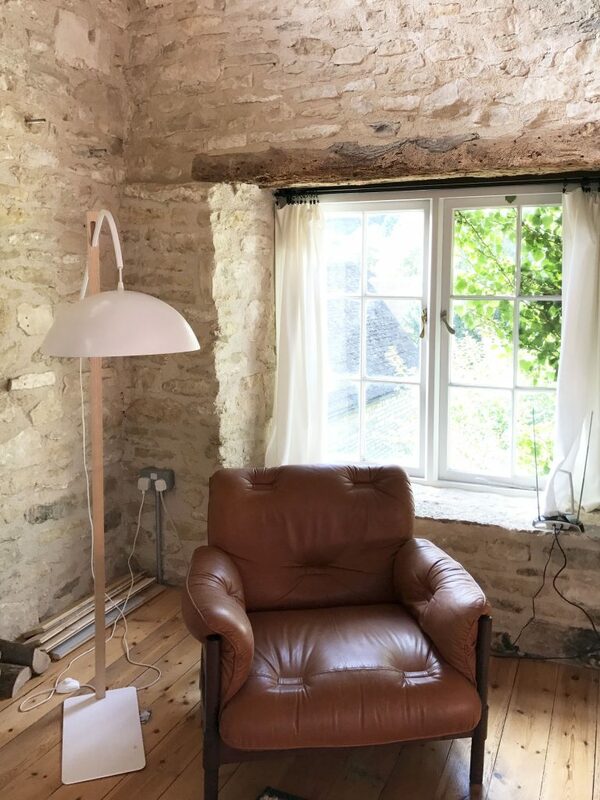 Basically, if you’re in the vicinity of the Modern Hayloft (and we’re recommending a rather liberal, American definition of “in the vicinity”), book this place before someone else does. We’d especially recommend this unique stop to guests like these. 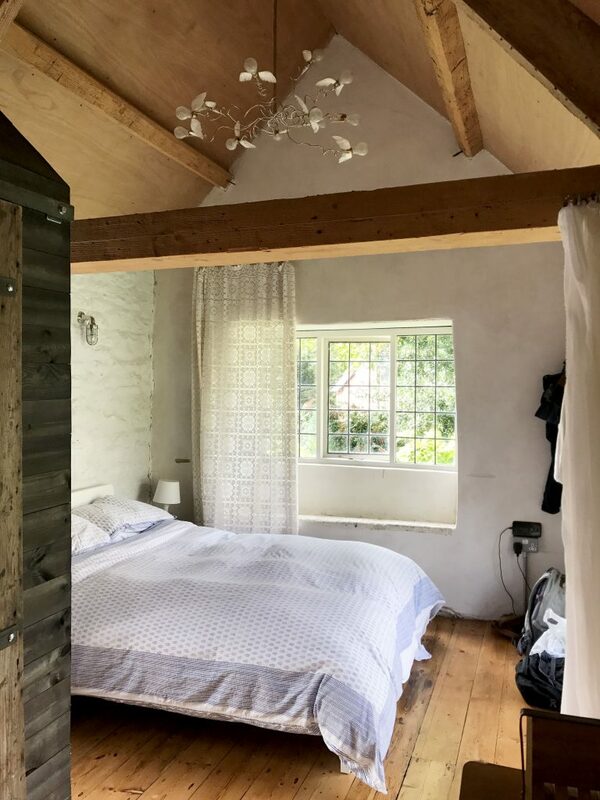 Just a hop, skip, and a jump from London, this Airbnb was a cinch to find via public transportation, and once you arrive, the Hayloft is ideally located for car-less explorers. 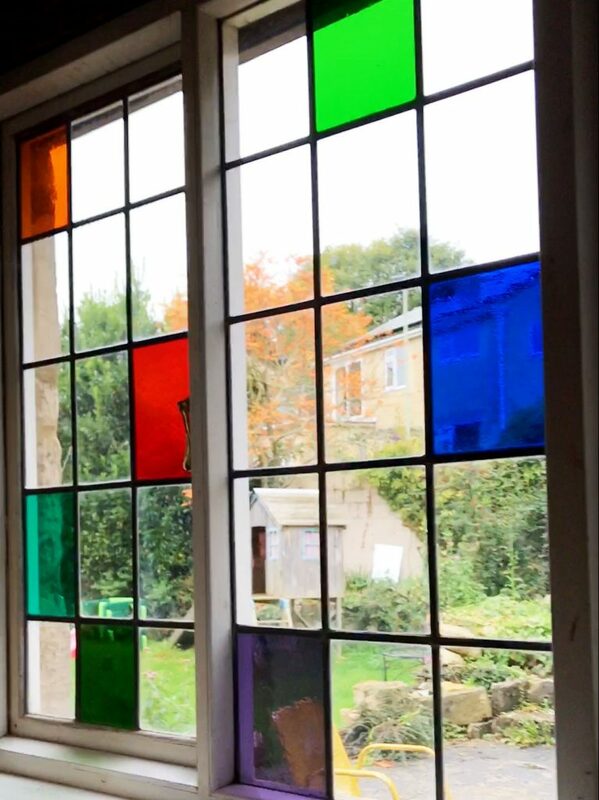 Whether you’re an interior design addict or someone who needs a boost of motivation to finish your own renovation, Caroline and Dave’s efforts will leave you inspired. Nailsworth is overrun with exceedingly talented chefs, and the Hayloft is walking distance to all this mouth-watering food. We especially loved The Britannia and The Vault. 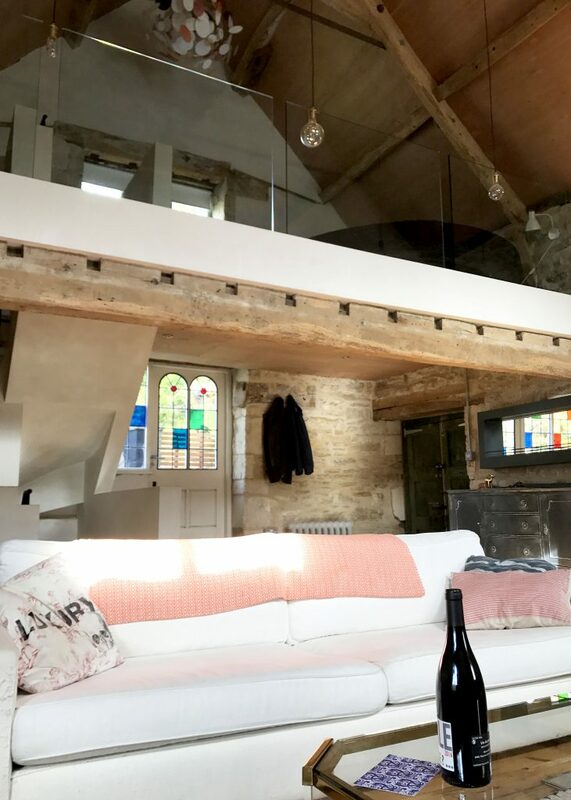 Book the Modern Hayloft in Cotswolds!